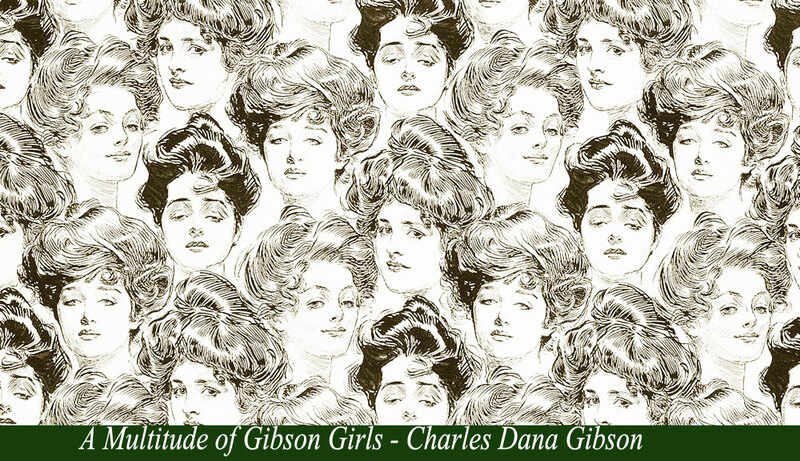 The women who served as muses to Charles Dana Gibson – the illustrator who created the iconic Gibson Girl. 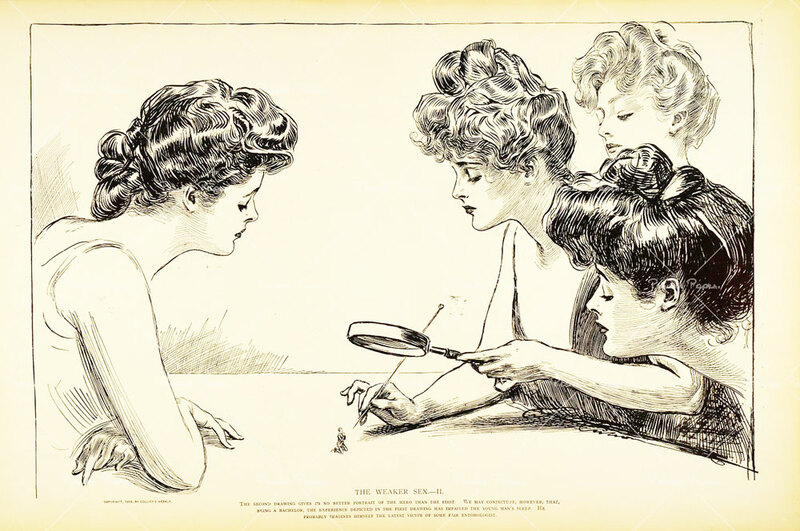 Charles Dana’s Gibson’s pen and ink illustrations of what was to become known as The Gibson Girl first appeared in Harper’s Weekly in the 1890’s. 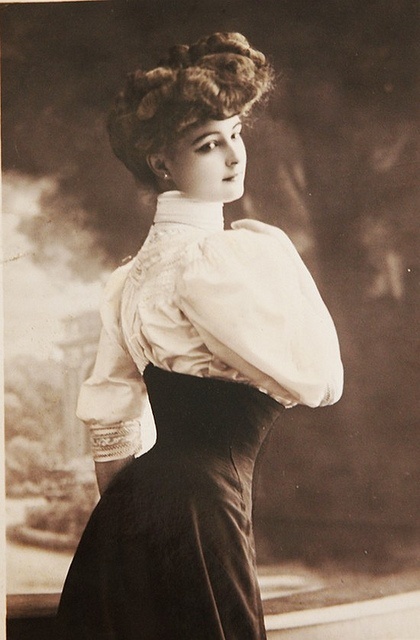 Combining a tall and slender figure with an ample bosom and hips to create what was described as the ‘personification of the feminine ideal of beauty’, the Edwardian Gibson Girl became the first American pin-up look that many daring young women, actresses and models aspired to achieve. 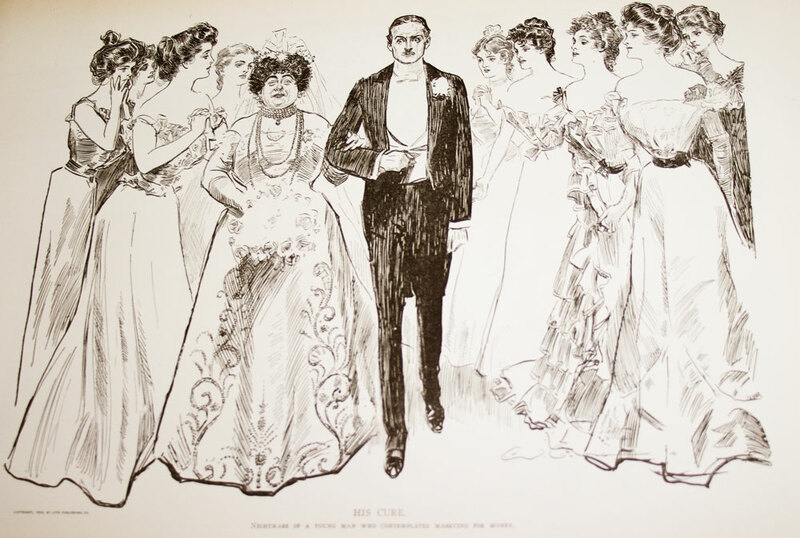 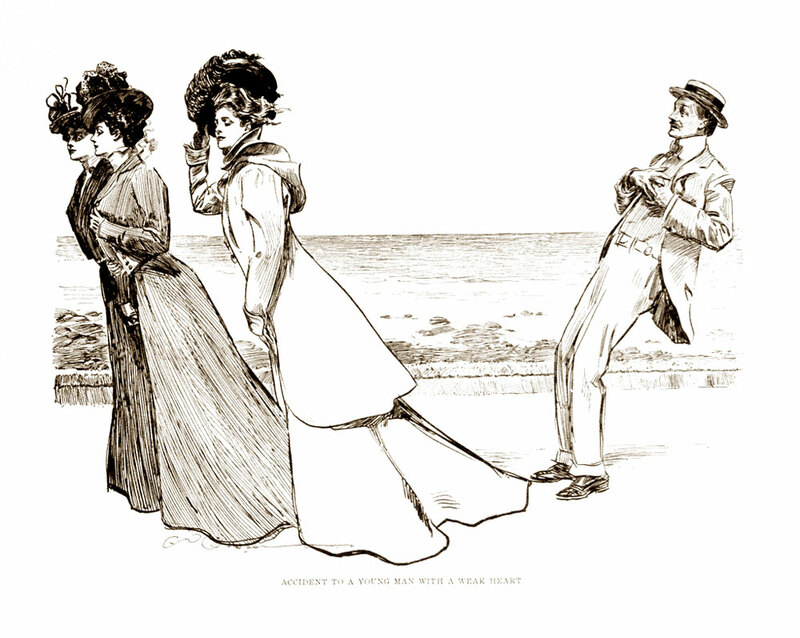 Gallery of Charles Dana Gibson illustrations. 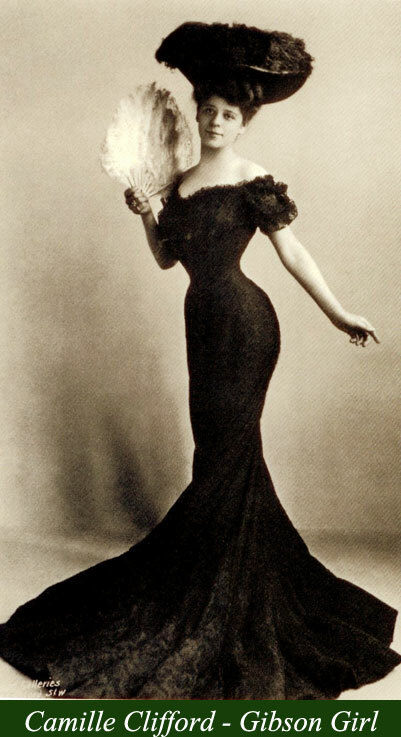 The hourglass silhouette with its excruciating s-curve or s-bend corseted figure began to be replaced through the 1900’s with more loosely based tummy controlled corsets to allow more freedom of movement to women who demanded a more liberated lifestyle. 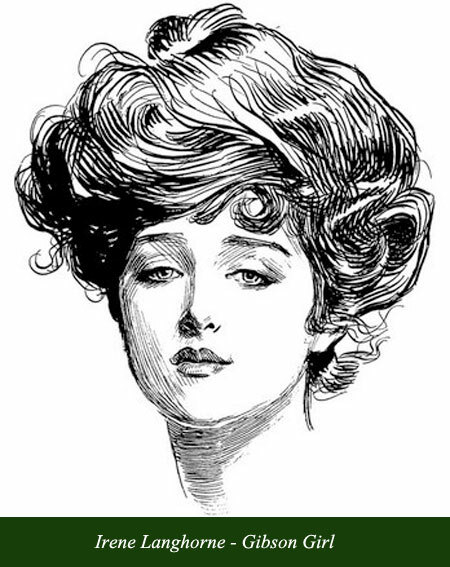 What is most remembered of the Gibson Girl illustrations were the bouffant, chignon and pompadour hairstyles – which were all the rage in the early Edwardian Fashion era up to and during the First World War. 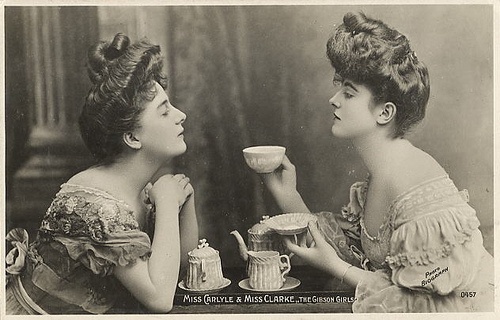 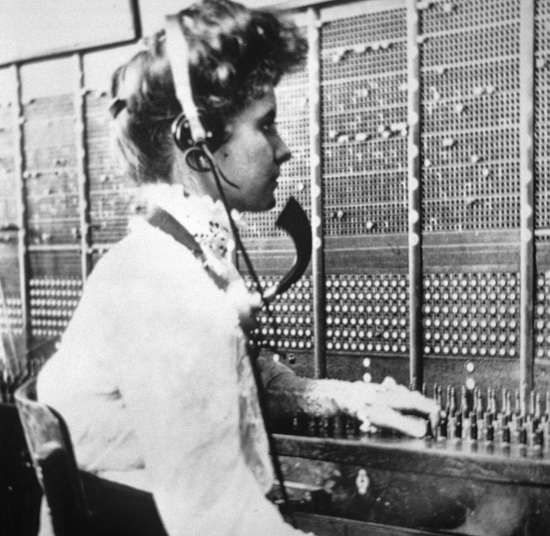 This post remembers some of the real Gibson Girls, both celebrity and otherwise. 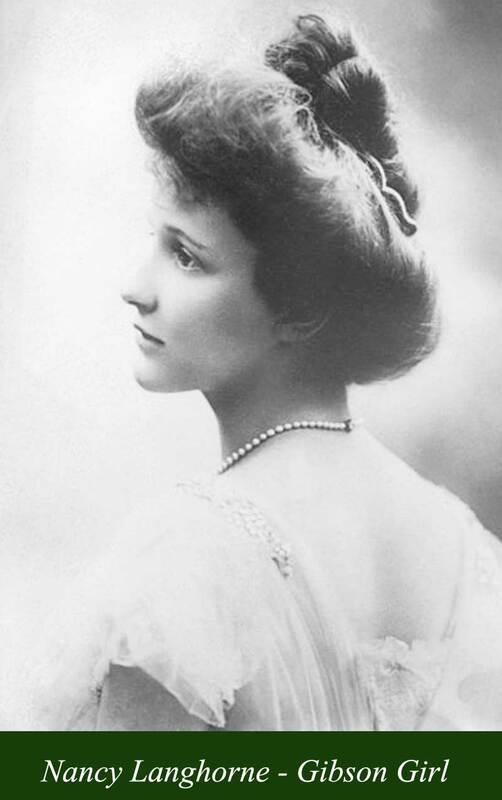 The story goes that Gibson met Irene Langhorne – sister of Lady Nancy Astor – at a dinner in her honour at Delmonico’s in New York. 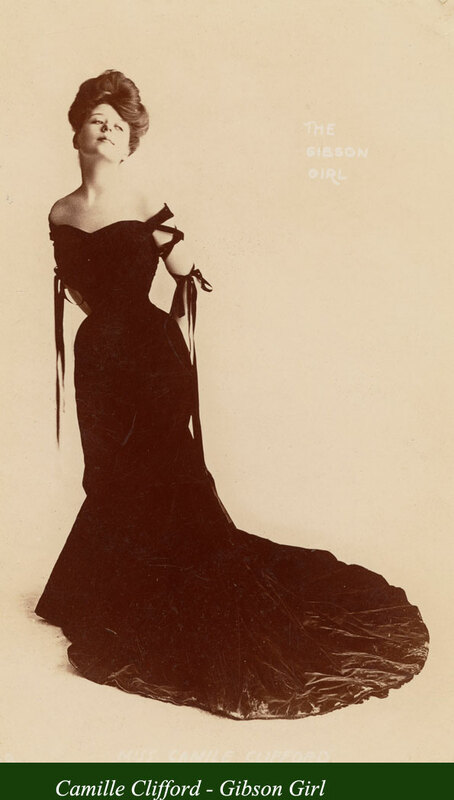 She was sitting at a table next to novelist and friend of Gibson, Richard Harding Davis [ who incidentally served as the male muse for the often confused looking Gibson Man ]. That night Gibson sketched Irene’s young face and bouffant hair in his unique style for which he was making a name, and the first ‘Celebrity’ Gibson Girl was born. 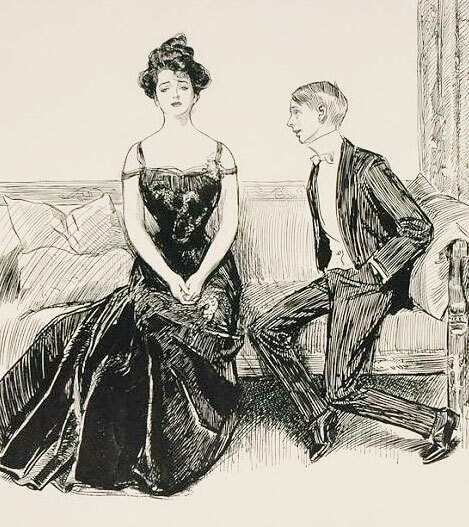 He later married her. 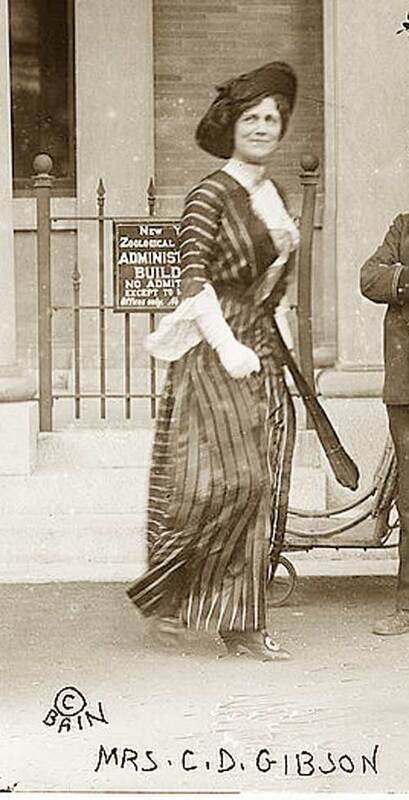 Langhorne was extremely political and was co founder of Big Sisters Inc which helped girls in trouble.A prominent suffragette, she later chaired the Eastern Women’s Bureau of the Democratic National Committee in support of President Wilson’s bid for election in 1916. 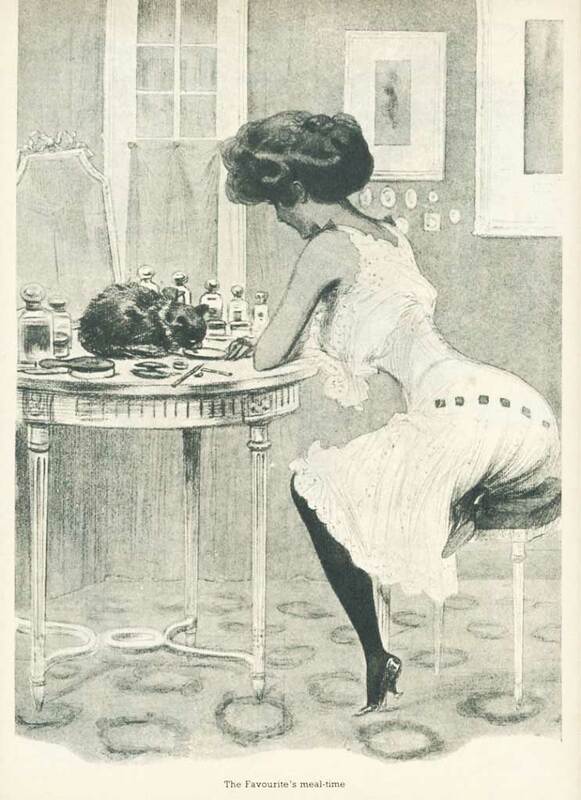 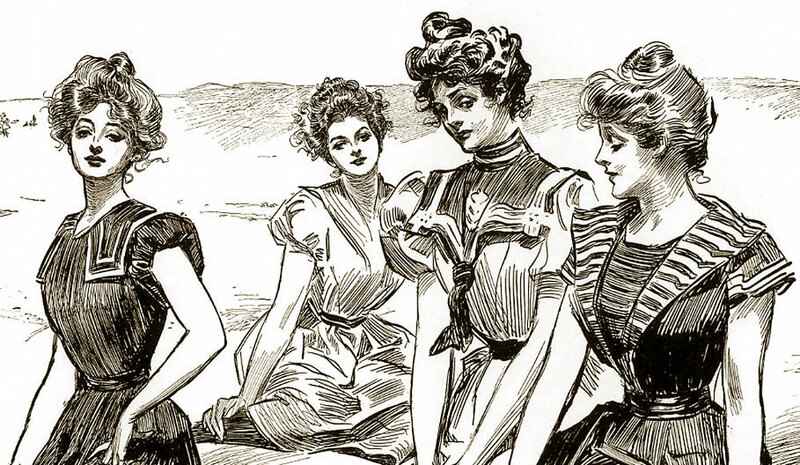 She was the epitome of the Gibson Girl; beautiful, glamorous, intelligent, political, who could hold her own in any mans company.Her equally beautiful sisters Lizzie, Nancy, Phyllis, and Nora must also have inspired Gibson illustrations. 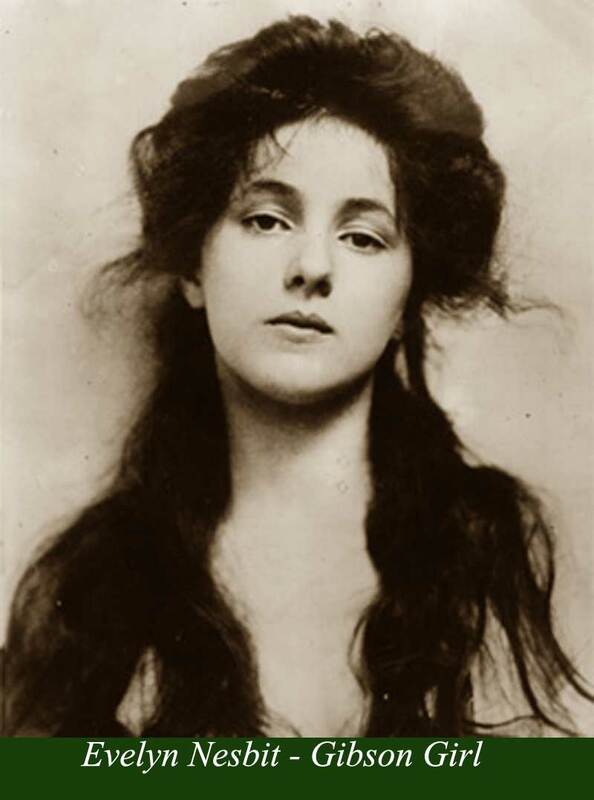 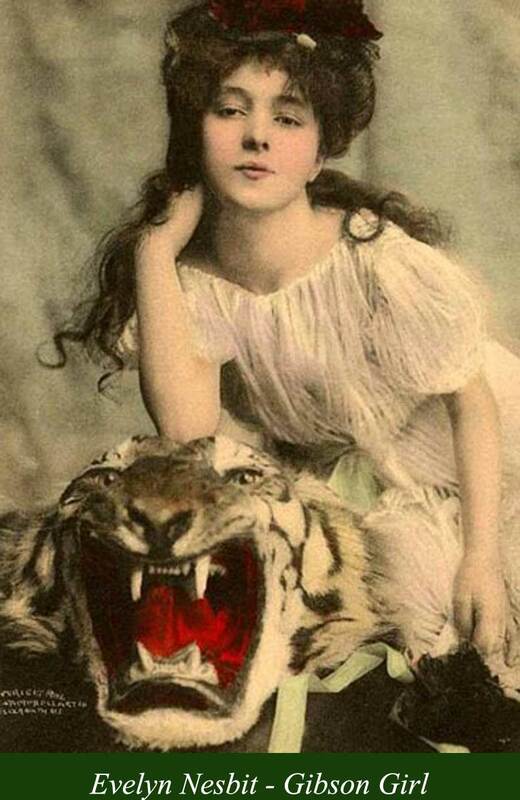 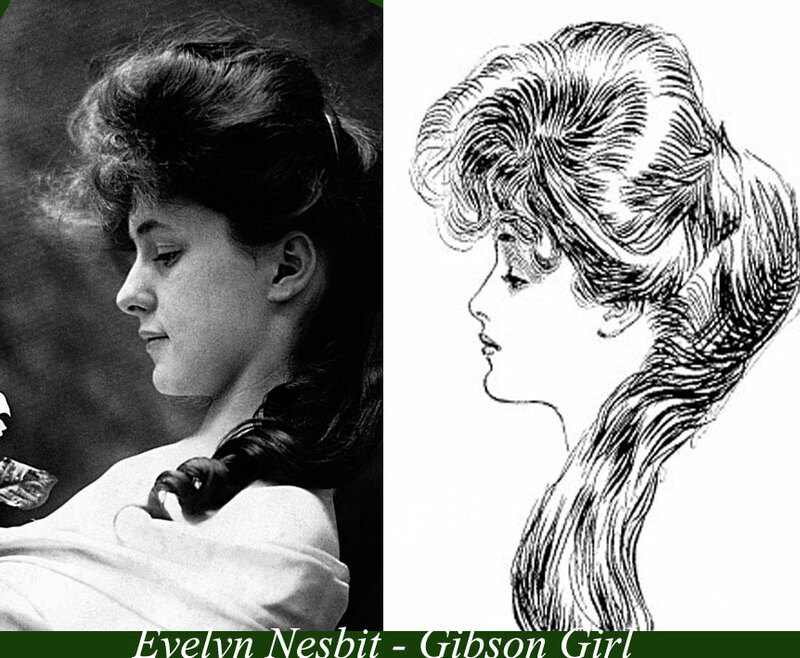 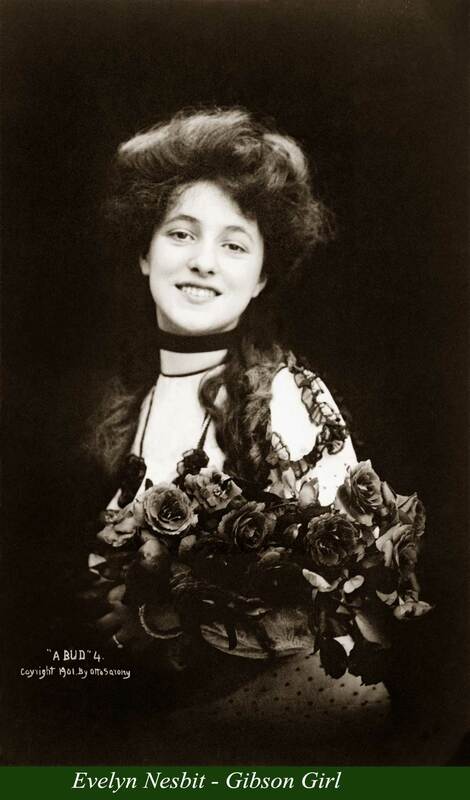 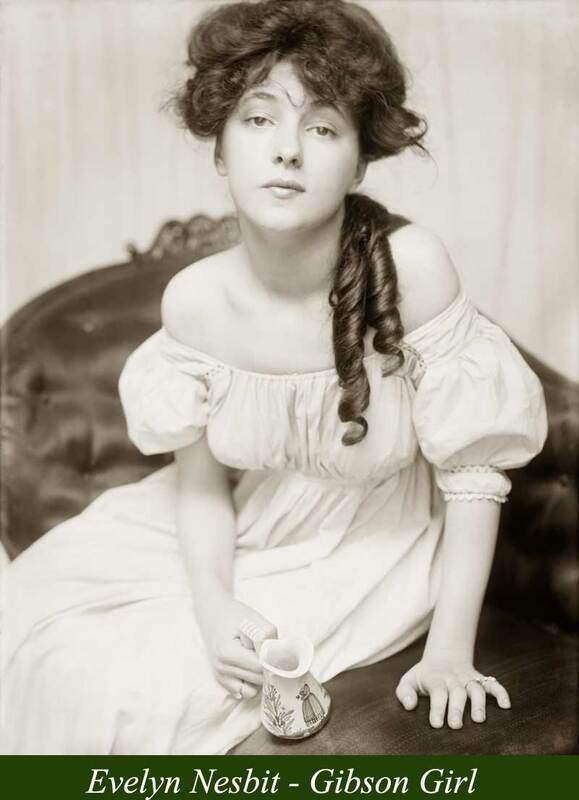 Purportedly the ‘first’ Gibson Girl – and certainly the most beautiful, it has never been proven that Nesbit actually sat for Gibson, but her face was well known, for many reasons, including the infamous Evelyn Nesbit love triangle murder trial in 1906. 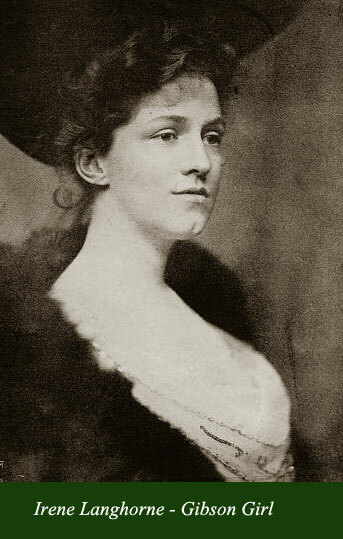 At that trial Nesbit caused a bit of a stir with her stunning clothes which had women ordering copies by the thousand. 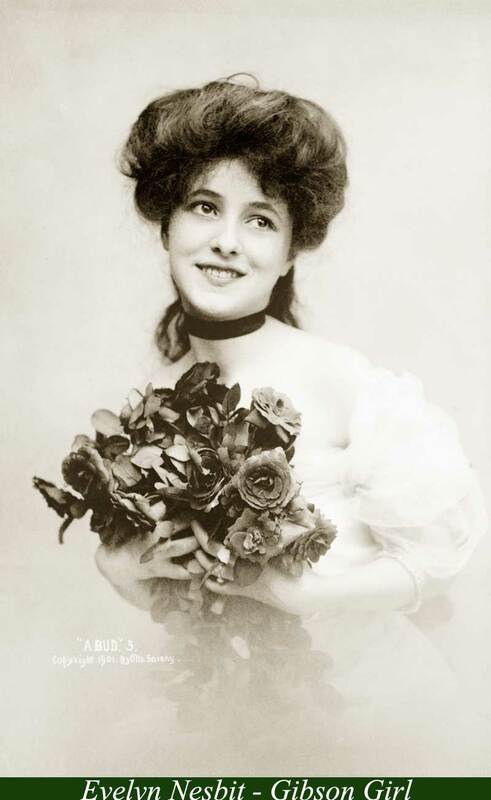 Born in Belgium and finally raided in Boston USA, Camille’s towering coiffure and unbelievable figure made her famous as a picture postcard icon. 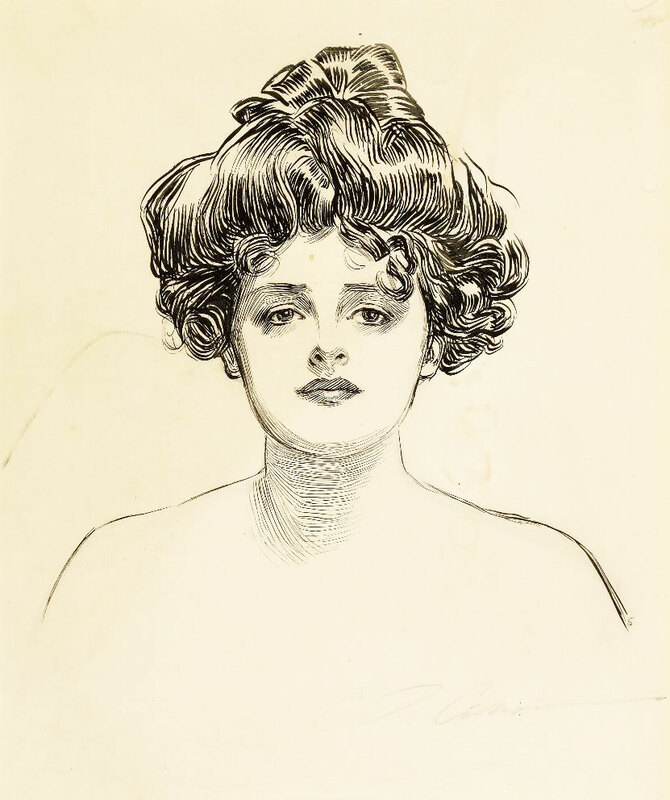 In 1905 she won a contest initiated by the illustrator Charles Dana Gibson who was looking for a woman to depict his stylized Gibson Girl sketches. 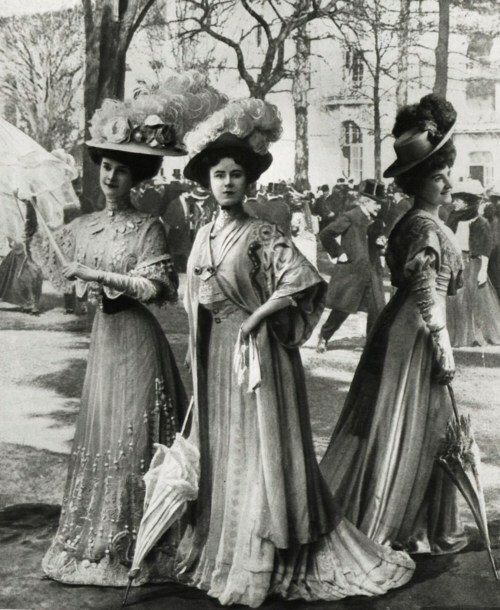 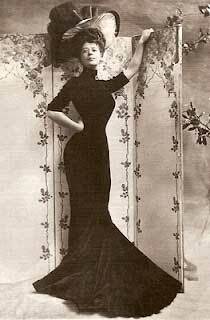 But it was her silhouette of long contoured dresses fitted over a tightly corseted figure that she was most known for. 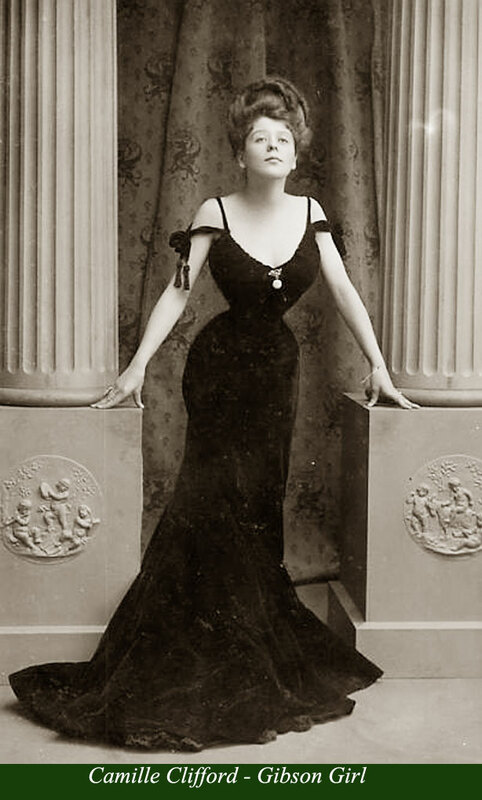 To this day – there is still debate on how she achieved that amazing figure, with myths still abounding of having her lower ribs removed and so on. 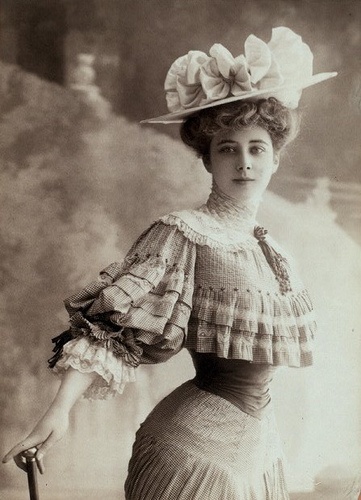 The actual truth was that many women up to about twenty years of age could squeeze their floating ribs under these s-bend corsets. 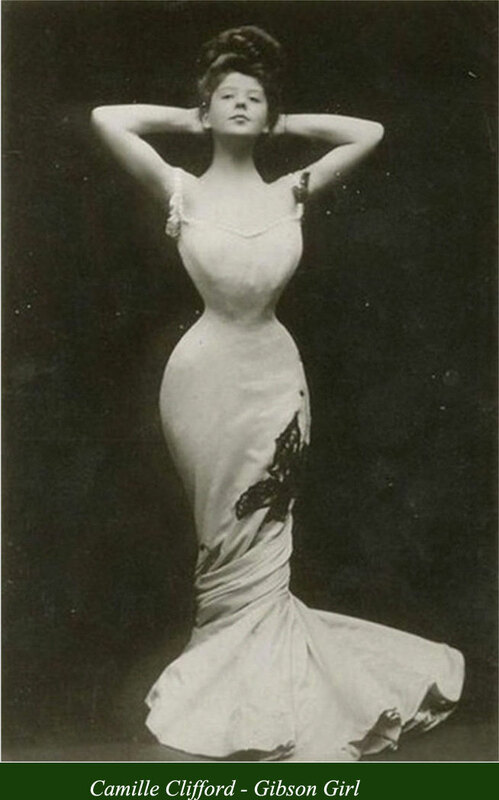 Clifford’s natural hourglass figure helped her to achieve this effect albeit only for her photographic sessions. 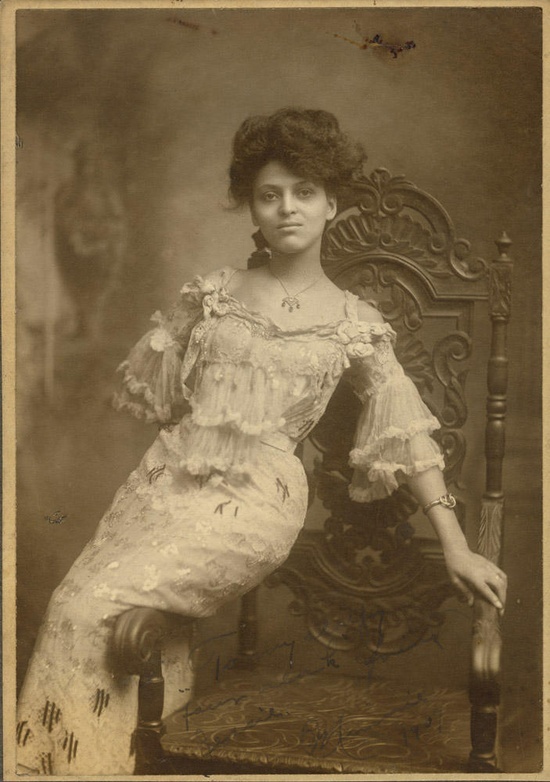 Image Gallery of Real Gibson Girls.